Traditionally, giving Chocolate as a gift can be a time consuming process. Driving to the local grocery or chocolate store, searching the limited selection, bringing it home, wrapping up the item, and then getting back in your car again to drive to the local Fed Ex or UPS Store to make the delivery actually happen - it can all be a time-consuming and frustrating challenge for anyone. Thankfully, with the availability of online chocolate stores, purchasing a delicious and wonderful chocolate gift only requires about 5 minutes of your time. Buying chocolate on the internet provides a quick and efficient way to select from a long list of great options that fit your budget and gift giving needs. Plus, you can do it from the comfort of your own home. 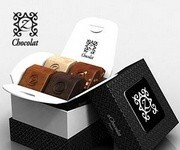 zChocolat takes chocolate gift giving the a new level. These hand-crafted, award winning confections are created by French master chocolatiers. To add to the mystique the chocolates arrive in beautiful wooden boxes that may be personalized with customized engraving. For a chocolate gift that's sure to impress, zChocolat should be your first stop. Godiva is a big name in the fine chocolate market. Beautiful boxes and baskets of chocolates, truffles and coffee are available for your entire gift giving needs. Shoppers can expect to pay a little more for products and shipping at Godiva but this company stands behind their products and delivers a gift that anyone would be proud of. You've seen their chocolates at your local big-box retailer, but did you know you can build your own customized box of chocolates via the Russell Stover website? Although their selection is not gourmet or exotic, shoppers looking for a traditional variety of chocolates will find what they want with Russell Stover, which includes the well-known Whitman brand as well. If you are looking for gourmet chocolate with a twist, Vosges Chocolate might be the website for you. A Cordon Bleu trained chef steps out of the box to use unique ingredients. At Vosges you can anticipate bacon, cheese, peppers, and other non traditional ingredients in the chocolate selection. The website is fun but the search functionality is a bit limited. Chocolate has a good variety of chocolates, all created by small sweet shops throughout the US and Canada. Shipping costs are high, and some customers report problems with billing and delivery. You may have a hard time reaching Chocolate's customer service department as well, since email is the only contact method they provide. Hotel Chocolat attempts to provide exclusive chocolate products, but fails. With a noticeable lack of selection it doesn't take long to get through their few products to understand the limitations of this website. Of the few items they offer, several are sold out or unavailable for purchase. Until Hotel Chocolat increases selection and quantity we recommend you shop a higher ranked provider for your chocolate needs. Selection. Does the company provide a wide range of delicious chocolate flavors, colors and gift options to meet your needs? Cost. How do the prices compare to other chocolate stores? Where will you get the best value for your money? Return Policy. If the chcoolate doesn't arrive as expected, will you receive your money back? TopConsumerReviews.com has reviewed and ranked the best Chocolate stores available today. We hope these reviews help you find the best chocolate to meet your gift giving needs!